So, This Summer Let’s Try a House Party!! If you’re in the Rochester, NY area in Summer 2015, let me know if you’re interested in hosting a little Carpe College House Party. Mike will share his ideas for a successful start to your college career! Learn more & reserve your spots by clicking HERE! While most of the offerings will be young adult fiction, Carpe College! will have a sponsorship table and Mike will be there doling out books and friendly conversation. Visitors may also enter to win one of two framed prints of illustrations from the book signed by both the author and illustrator. And there will be Carpe College! t-shirts too! 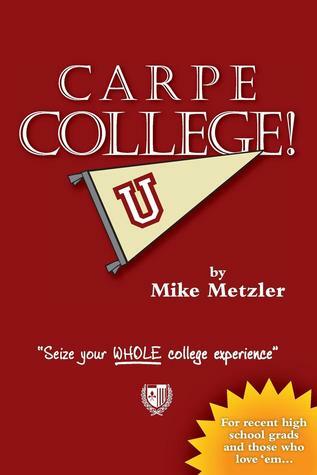 Enter to Win a FREE copy of Carpe College! Visit Goodreads.com between NOW and January 6th and push a button. Giveaway ends January 06, 2014.